Many people have heard of the regimen of taking a daily low-dose aspirin (acetylsalicylic acid) to help ward off heart attacks, and for certain people, it’s a routine which has the potential to save their life. On the other hand, a new study published in the Journal of the American College of Cardiology suggests that more than one out of every ten people taking a low-dose aspirin regimen is actually doing more harm than good to themselves. Another study last year from Japan indicated aspirin didn’t help older people avoid their first heart attack, but it might be beneficial in preventing some cancers. According to the study, nearly 8,000 patients (7,972) of 68,808 patients being treated by cardiologists across the US, or 11.6%, were taking aspirin even though they had a low risk of having a stroke or heart attack over the next ten years. While some may say “better safe than sorry,” the problem is a daily aspirin can cause other health complications. Aspirin thins a person’s blood, which can cause excessive bleeding and even an hemorrhagic stroke. For this reason, it’s only recommended for people who have a significant chance of a blood clot related issue. The study didn’t look at people who had already experienced a stroke or heart attack, but those who were attempting to prevent the first one from happening. They did this by using date in the American College of Cardiology’s PINNACLE registry. Women were far more likely to be misusing aspirin than men. The study found only 5.3% of men were taking aspirin when it shouldn’t have been recommended, while 16.6% of women fell into this category. The study also found those who were incorrectly taking the aspirin were much younger than those who were properly taking it. Those who properly taking the aspirin averaged 65.9 years in age, while those who weren’t were an average of 49.9 years in age. The number of patients not using aspirin correctly varied widely from cardiology practice to practice, In the worst case, 72% of patients were taking aspirin when the risk factors didn’t warrant it. On the other hand, there were also practices where 100% of patients were correctly taking aspirin in conjunction with their risk factors. The study found only a slight regional difference in the percentages of patients incorrectly taking the daily pills, therefore concluding geography played no part in why patients weren’t taking it properly. 10.6% of those living in the West were taking aspirin inappropriately, while 11.3% of those in the South, 11.4% of those in the Northwest and 12.2% of those in the Midwest also did the same. 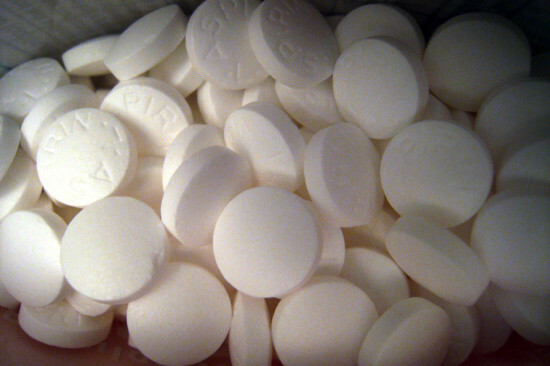 The big question the study fails to answer is why patients aren’t properly taking aspirin. The study isn’t able to ascertain whether the cardiologists are giving patients inappropriate directions to take the aspirin, or if the patients have taken it upon themselves to take the aspirin without consulting their cardiologist. Aspirin can be purchased over-the-counter, so there is nothing stopping patients from getting it on their own. What the study does seem to imply is there should be better communication between doctors and patients when it comes to a low-dose aspirin regimen. Cardiologists need to make sure the patients they prescribe aspirin to will benefit from it, and even if they don’t prescribe it, they need to let patients know why they shouldn’t take it on their own.